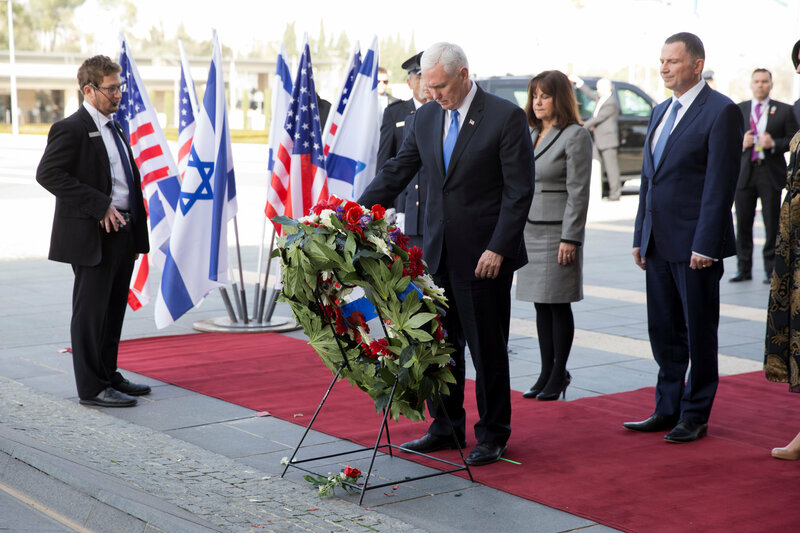 US Vice President Mike Pence announced this week in a landmark speech in front of Israeli lawmakers that Washington will be moving its Israeli embassy in Tel Aviv to Jerusalem before the end of next year. Illan Pappe, a specialist on the Israel-Palestine conflict, has told Sputnik what impact the decision will have on the Arab world. Sputnik: The Palestine Liberation Organisation’s Secretary General yesterday said that US Vice President Mike Pence’s invocation of “religious discourse” in front of the Israeli parliament is a “gift to extremists” around the world, what does he mean by that, and how so exactly? Illan Pappe: Well Pence represents a Christian-Zionist point of view that believes that Israel has the right to the whole of historical Palestine. If this point of view will inform American foreign policy then we can forget about peace and diplomacy and the only option open for the Palestinians would be resistance, whether popular resistance or armed resistance. Any other way would not end the colonization of Palestine from the River Jordan to the Mediterranean. So I think the Secretary General’s comment was a very acute observation of what Pence’s point of view brings to the Palestine question. Sputnik: What avenues do the Palestinians have left for possibly preventing the US embassy move to Jerusalem from happening? Illan Pappe: Well I think the main problem is not the embassy move. The main problem is that there is no chance of changing the reality through diplomacy and the two-state solution, so what they really need to do is sit together – they have time because nothing is going to happen anyway – and redefine the liberation project of Palestine. Namely, give up the two-state solution and think about a one-state solution and create a new kind of liberation movement that also includes some progressive Israeli-Jewish voices and hopefully as happened in apartheid South Africa, we’ll be able to change the regime of the country that colonised Palestine and continues to discriminate and oppress the Palestinians over the past seventy years. Sputnik: Do you see the embassy move impacting upon how seriously the rest of the Arab world sees the US as a partner, even outside of issues related to Israel-Palestine? Illan Pappe: Yes I do. I think it’s beyond the Arab world; it’s the Muslim world, not just the Arab world. I think this [the embassy move] is kind of a declaration of war on these two worlds and a message that America does not have any regard for their sensitivities, faith and beliefs. I think this really takes America out of its global superior position, which is by itself not a bad thing because in many places the American involvement did not benefit the people or did not end conflicts. However, it will create a vacuum, and one always hopes that the vacuum would be filled by positive forces and not negative ones. The views and opinions expressed in this article are those of the author and do not necessarily reflect those of Sputnik.